Down the laneways and back alleys of Temple Bar large panels and murals tell the stories of the greats of Irish fashion, music, literature, art, sport, comedy and more. This is the Icon Walk. 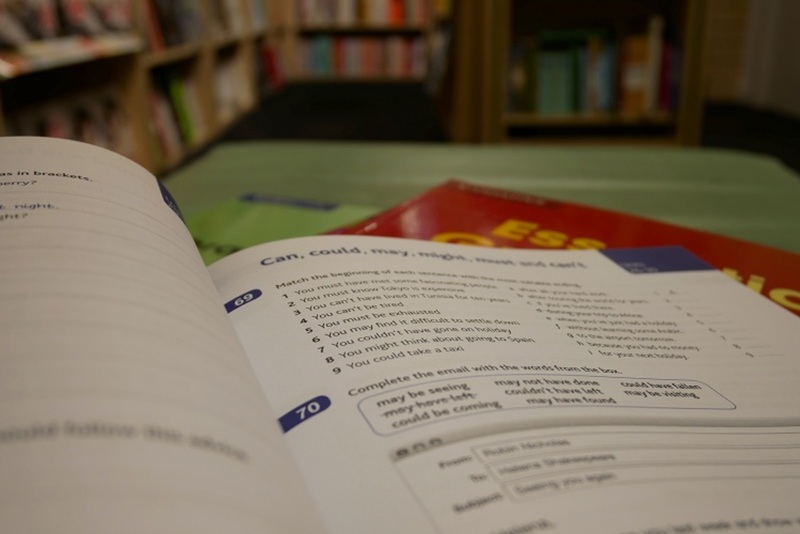 It is recommended by Lonely Planet, and has been endorsed by the Dublin UNESCO City of Literature Office, which is part of Dublin City Libraries. 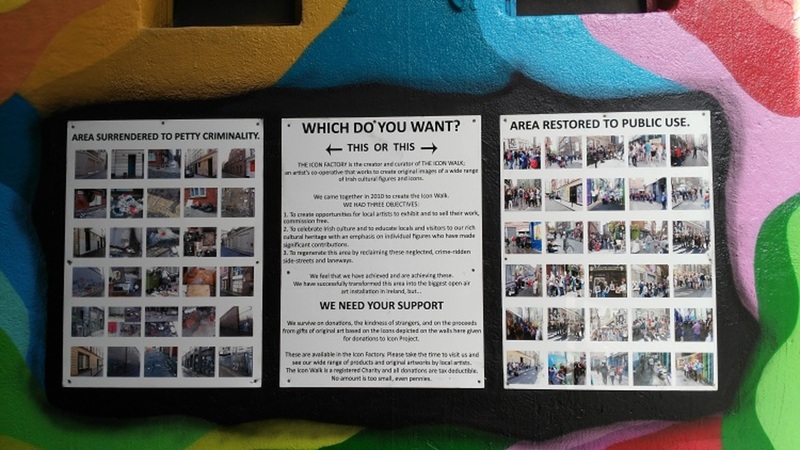 This tourist attraction, and attempt to improve some grotty laneways, is run by the Icon Factory, an artists’ cooperative that sells art and uses the proceeds to keep up the Icon Walk. Recently, the gallery took to social media to ask for help in tackling persistent vandalism, which may result in the project being removed. “Unfortunately during the past year our Icon Walk has been vandalised five times. We lost a dozen panels and the latest act happened just recently,” writes Aga Szot, an artist who runs the gallery with owner, writer, historian and benefactor Barney Phair, and other volunteers. “Too much hard work has been put in to it every year to get where it is. But we cannot do it any longer without some financial support,” Szot writes. On a walk through the laneways on a recent Monday, Szot points out the damage that’s been done to some of the Icon Walk panels, not just by vandals, but by truck drivers making deliveries to nearby hotels. In the Irish music section on Adair Lane, a panel of the Miami Showband has a large hole ripped out of it. Directly opposite, signs of fire damage are visible on the bottom half of a tribute to The Dubliners. Szot thinks it’s a lack of appreciation, rather than malice, that’s behind trucks damaging the Icon Walk, and people propping wooden pallets against the panels about Irish icons. “Every time we notice something like that, we try to speak to people, and tell them about the project and what we’re trying to do. We’re trying to save the area from criminality, and bring people to the lanes,” she says. The panels are spray-paint proof, and there hasn’t been much graffiti damage in the past year, Szot says. Even when someone tags the surrounding walls, they usually leave the panels alone. Drug dealing and taking are ongoing problems in Icon Walk laneways, however. “It’s the city centre, and this isn’t unique to the lanes of Temple Bar,” says Chris Moran works at nearby Aston Formal Wear. Still, the Icon Walk is popular with guided tour groups, bringing large crowds most days, says Szot. “Just yesterday we had a group of people walking in the lanes, and saying, ‘Oh I didn’t know Bram Stoker was Irish!’” she says. “People know the names and books, but they don’t identify them as being Irish. This project has an educational purpose,” Szot says. When the Icon Walk project began seven years ago, the city was in recession and the lanes of Temple Bar were in pretty bad shape, says Szot. “Nobody had used the space for many years because the area was bad, and the gallery was empty,” she says. The Icon Walk was Barney Phair’s idea to regenerate the area and bring more traffic to the lanes, using old-fashioned storytelling to draw a crowd. The initiative saved the gallery, Szot says. Moran, who has worked in the area for 25 years says, “The area was run-down before, but generally okay.” But thanks to the Icon Walk, problems with graffiti and public urination in the laneways have declined, he says. Artists applying to the Icon Factory are asked to contribute to the project by donating and designing interpretations of iconic Irish figures, and the gallery pays for the printing itself. Szot says the gallery is stretched to the limit keeping the Icon Walk in decent shape, and it needs help or it’s going to have to give up on the project and remove the panels. A number of small independent businesses have contributed regularly to the project, by donating money or helping with repainting and clean-ups, says Szot. But better lighting and CCTV would be a big help, and contributions from larger local businesses are particularly needed right now. In 2014, Dublin City Council and the Temple Bar Company piloted the Love the Lanes initiative, with an aim to regenerate the lanes with creativity and innovation. 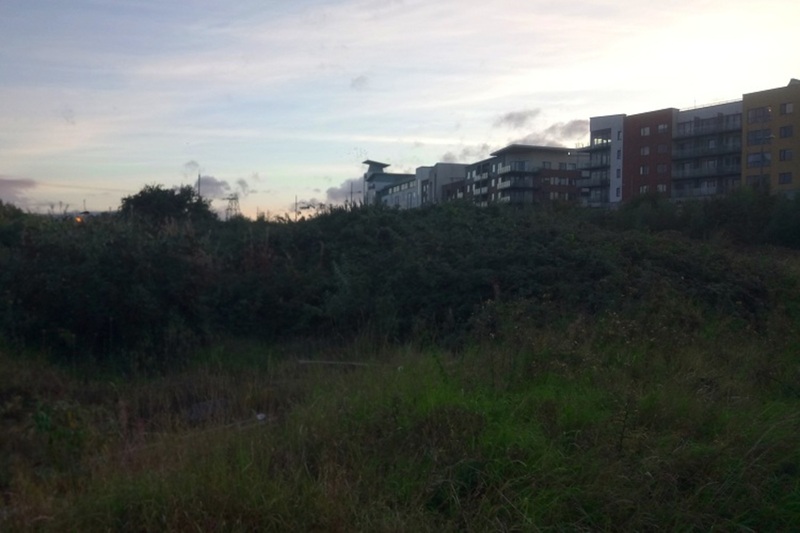 The project’s goal was to reduce anti-social behaviour, drug use, litter, and vandalism, according to a spokesperson for Dublin City Council, who says it has been successful in this. 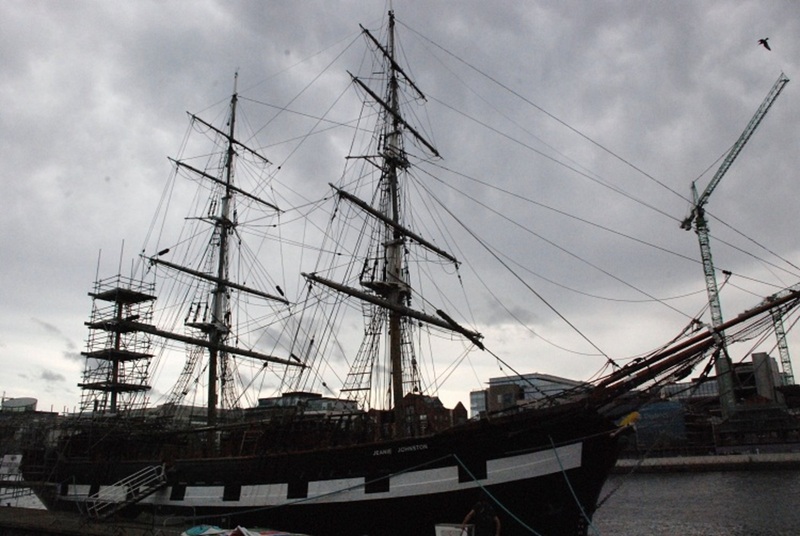 There was an open call put out to artists, who would submit proposals to a panel of adjudicators made up of local businesses, residents, the Temple Bar Company and members of the Arts Council. The Love the Lanes project spent over €100,000 on regenerating the lanes, according to the Dublin City Council representative. But Szot and Phair say the Icon Walk didn’t get enough support from the project. Szot got €400 to paint the metal railings of a fence on Adair Lane, which is part of the Icon Walk, to look like coloured pencils. But Phair says the Icon Factory itself didn’t receive any funding from the initiative. 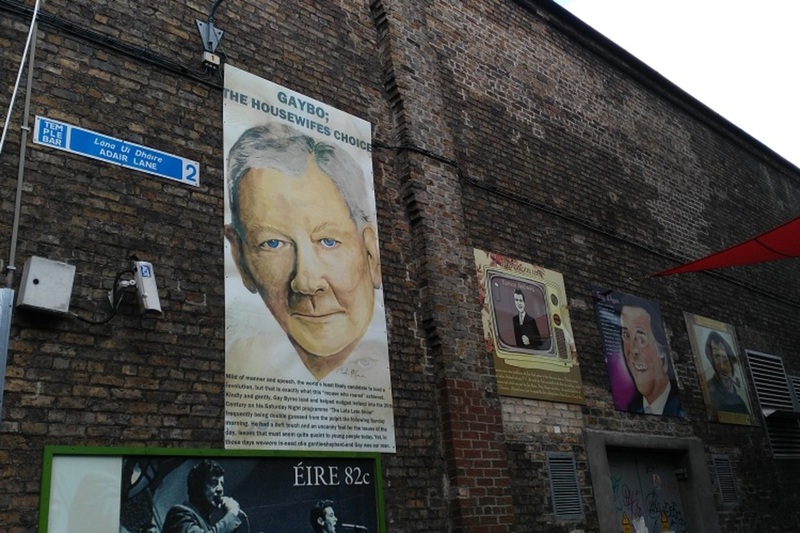 The council spokesperson says the council installed some lighting in lanes in Temple Bar, including those hosting the Icon Walk, and will install more, and that the lane surfaces have been restored, per the gallery’s request. 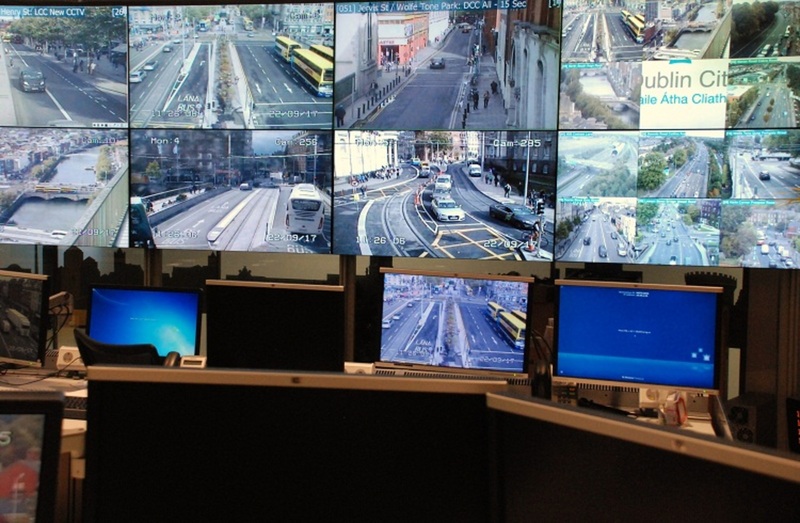 But Szot and Phair say the CCTV cameras have never been connected to anything, and neither have many of the lights, and the new surfaces in the lanes lasted barely a year. CCTV cameras in the area are linked to boxes fixed to the walls, so it is difficult to tell what is or isn’t connected. On Tuesday evening, Adair Lane was well lit, but Bedford Lane was darker. Szot says Prices Lane was completely unlit on this year’s Culture Night. There was also a proposal to remove 16 panels from the Icon Walk on Bedford and Adair lanes, to make room for new artworks funded through the Love the Lanes project, Barney says. But the council spokesperson said this was never given the go-ahead. 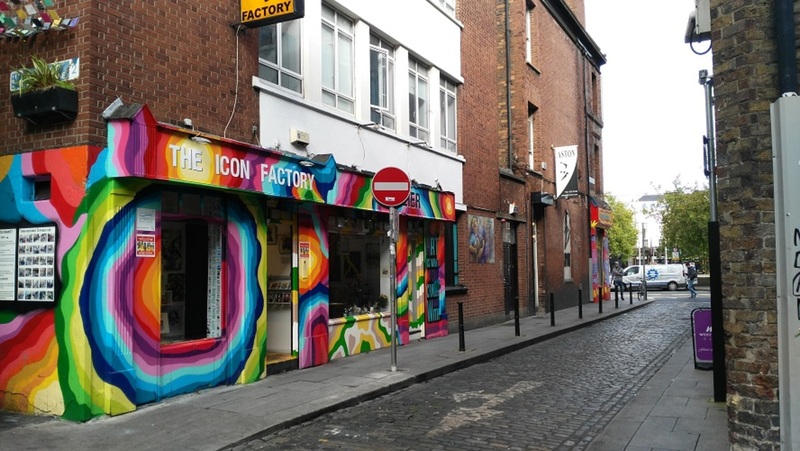 The council spokesperson mentioned that the Icon Factory was invited to take part in the initiative, but Phair wasn’t happy with the terms. “The Icon has never received one penny from DCC [Dublin City Council], from any state body, or from any Temple Bar various groups,” Phair says. Maybe they could try and integrate the icon walk along the river. A long tableau along the river wall, or integrate it into the footpath somehow. IMHO rejuvenating the lanes is a lost cause. The smell of urine walking past any of them is sickening, not to mention the human faeces. Any time I see a tourist leaning againt a wall around there I shudder.